It may lack the glamour and sunshine of Los Angeles, but that has not stopped hardy Hull residents using the city’s landmarks to recreate famous movie scenes in celebration of its 2017 status as UK City of Culture. Braving biting North Sea winds rather than paparazzi, local film buffs have temporarily turned the Yorkshire port into Hullywood. 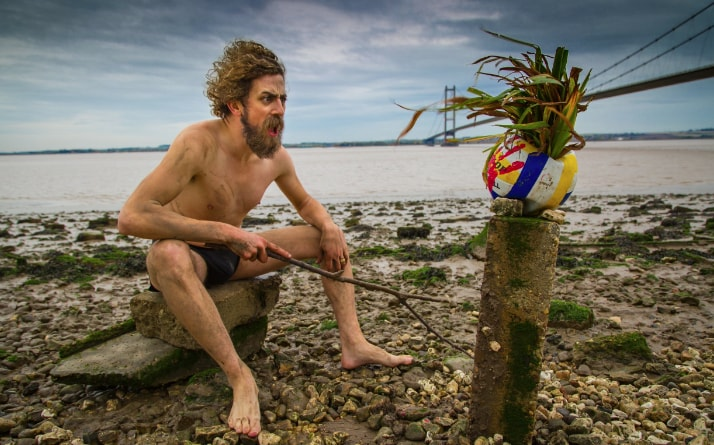 Well known scenes recreated for the Hullywood Icons project include Tom Hanks appearance in the film Castaway recreated under the Humber Bridge by Jim Wardlaw. Other pictures include a recreation of Ursula Andress’ bikini-clad emergence from the balmy waters of the Caribbean, transplanted to Hessle Foreshore on the banks of the estuary. A huge firework display and the opening of a city-wide installation signalled the start of Hull’s tenure as UK City of Culture on New Year’s Day. Organisers of the hundreds of events planned for Hull in 2017 have said they are ready to welcome visitors from around the world as well as include all of the Yorkshire city’s 250,000 residents saying: “The stage is set, we’re ready for showtime”. Hull is the second city to be given UK City Culture status, following Derry-Londonderry in 2013. The city was selected in 2013 amid some surprise, from a shortlist which included Dundee, Leicester and Swansea Bay. Organisers of Hull 2017 and local politicians have explicitly linked the cultural plans for the year with the economic transformation of the city, symbolised by the £300 million investment by German tech firm Siemens in an offshore wind manufacturing plant at Alexandra Dock. Stephen Brady, council leader, has said more than £1bn of investment has flowed into the city since the UK City of Culture announcement, including £100m of capital investment in the cultural and visitor infrastructure.